In the overall scheme of things, Jupiter Signs are associated with luck and good fortune. Jupiter is optimistic, has a great sense of humor and is full of good will and mercy. Generous and tolerant, Jupiter helps improve one's life. Take your clues from your Jupiter Sign on when to trust fate and when to rely on your own devices. Just as the physical planet gives off more heat than it absorbs from the Sun, a person favored with Jupiter can be inspired by their own internal source. Wealth of all kinds emanates from Jupiter. If you find Jupiter is not favorable to you, you may find yourself making your own luck. Words used to describe Jupiter may be generosity, blessings, prosperity, optimism, lucky breaks, hope, honor, gratitude, morality and expansion. Jupiter Signs colors how we absorb new ideas, cultures, people and passions. Jupiter rules higher learning. Both spiritual and intellectual ideas appeal to Jupiter, and they are happy to jump right in and explore them. Philosophers and religious gurus have a prominent Jupiter. This planet likes to think, and abstract concepts may come more easily. Those who are willing to go to the ends of the earth for answers are following Jupiter's path, for long distance travel also falls under this planet's influence. 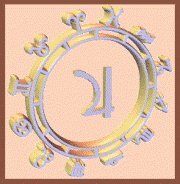 Jupiter assesses our ethical and moral values, and helps us create our own ideologies. Jupiter is the planet of Sagittarius, and thus covers many of this sign's attributes. For those who were born during the rest of the year, it may highlight your own personal spirit quest. Optimism, faith and adventure may await you if you learn to understand your Jupiter Signs call. Jupiter would like nothing better than to help you find your highest fulfillment and happiness in life. The trick is to understand how to spot your opportunities and when to take advantage of them for the best results. Sports and leisure is Jupiter's other passion, as well as games of chance and relaxation. Possible Jupiter occupations include doctors, healers, lawyers, judges, politicians and the civil service. On the negative side, Jupiter can cause one to become lazy and prone to gaining weight. Usually, however Jupiter would rather help you than hinder you. If you learn how to work with your Jupiter Sign, you should get the feeling that your life is unfolding as it is destined to, and you should find your happiness along the way. This planet can be very beneficial if you know where to look in your life.